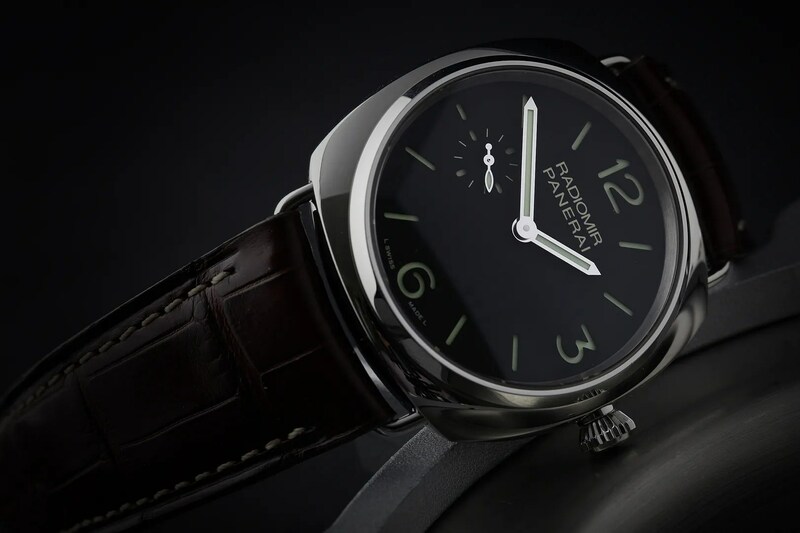 I know that a lot of people don’t “get” Panerai. 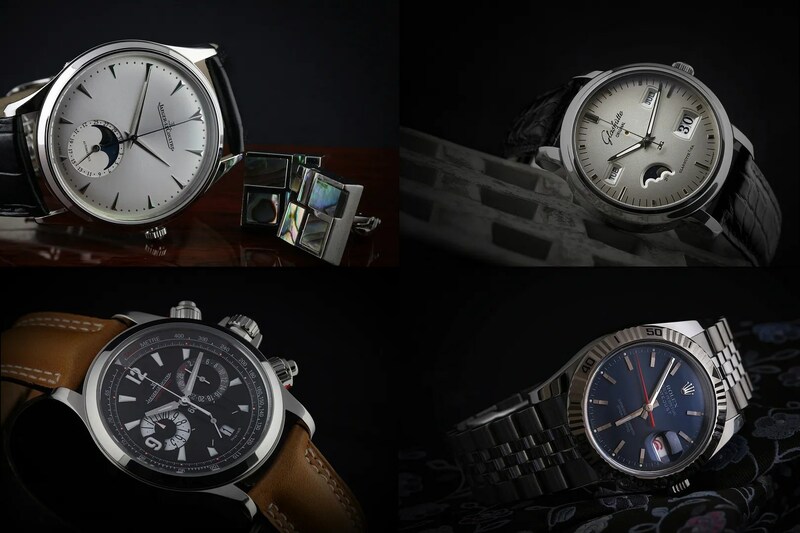 The company has taken some self-inflicted flak through the odd marketing faux-pas and a sometimes crazy pricing strategy, and I’ve heard a few people write the brand off on the basis that all of their models are “ugly”. Well, I’m no fanboy (hmmm… maybe I am, just a little) but I do think I’ve been very fortunate to have owned the much vaunted Luminor 233, and to still possess its equally sublime Radiomir cousin, the 268. 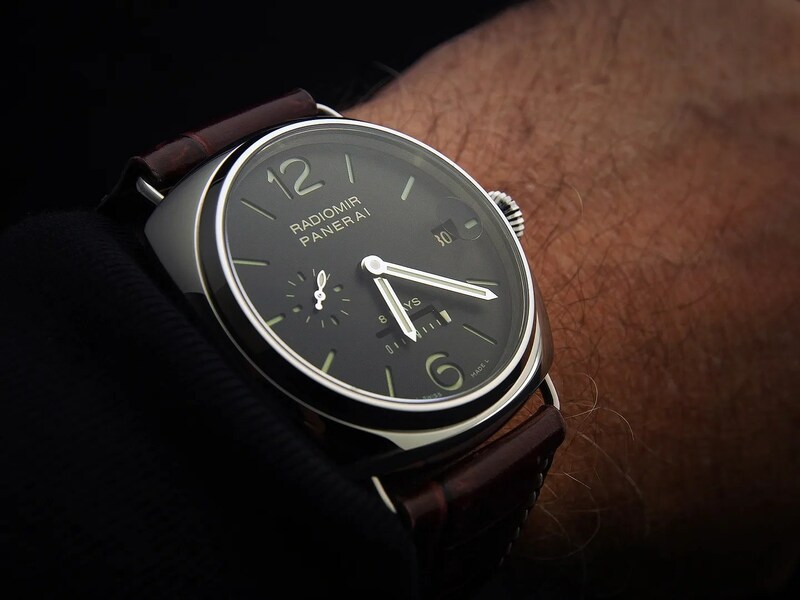 These watches are wonderful, both in terms of the majesty of the three-barrelled, 8 day in-house movements and the very obvious build quality. What I’ve learned, though, is that for my relatively slim wrists the Radiomir range gives me a more comfortable fit. 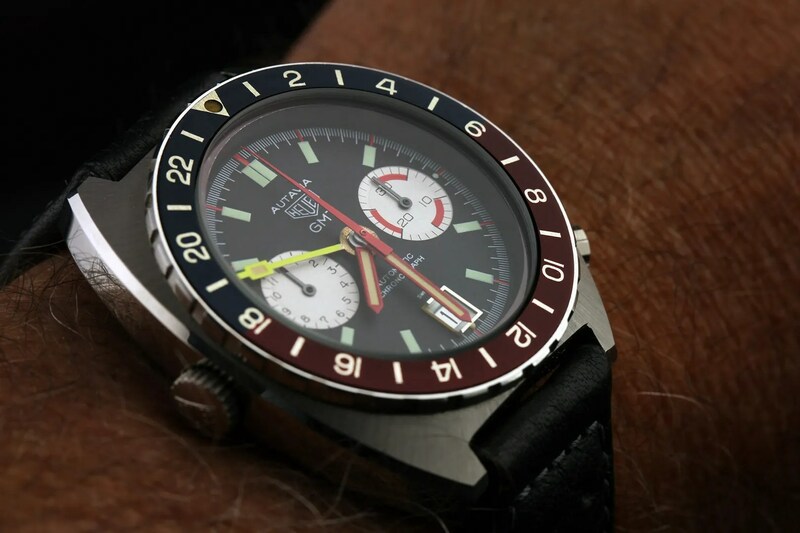 The 268 is a 45mm watch, and whilst this is mitigated by the Radiomir lug design its still a relatively hefty beast. 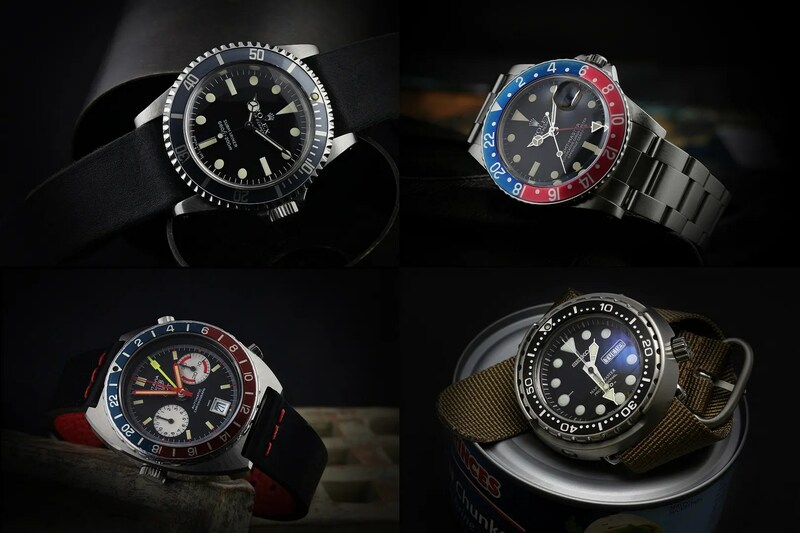 This, and some of the recent threads I’ve read over on TZ-UK regarding the smaller 42mm designs, prompted me to think seriously about adding a 337 or 338 to my collection, and a decision was made pretty swiftly when a member there posted a heads-up relating to some exceedingly rare discounts on new pieces that were available for a very limited time. The following day I’d paid for a brand new 337, and today it arrived in a rather hefty package that I barely had a chance to open before leaving the office and heading home. Obviously, the watch is now on my wrist, and very, very pleased I am too. 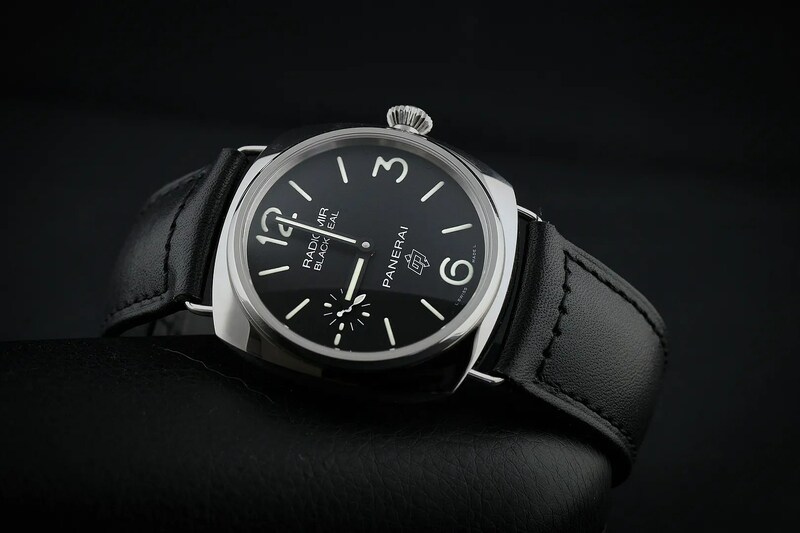 The fantastically clear dial is has subsidiary seconds at 9, and aside from that features what I think is Panerai’s wonderful sandwich construction. 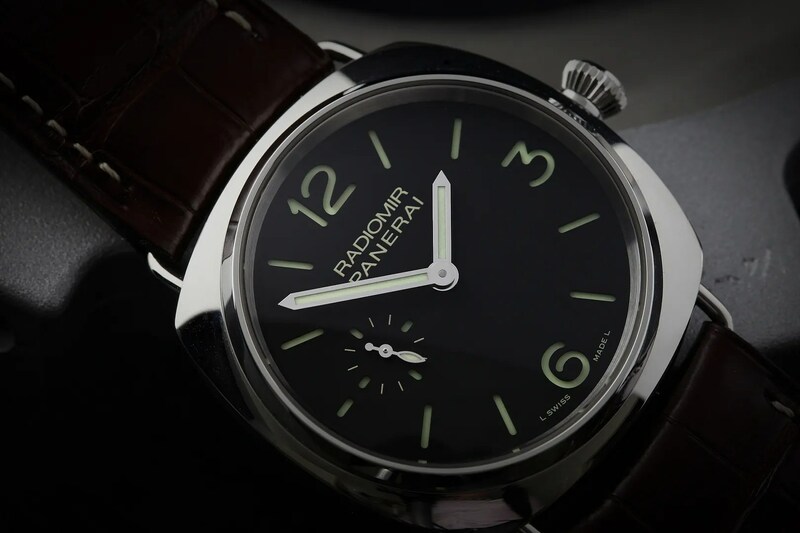 The lume on both dial and hands is inordinately bright, and the impression of the whole in terms of fit and finish is one of quality and heft. 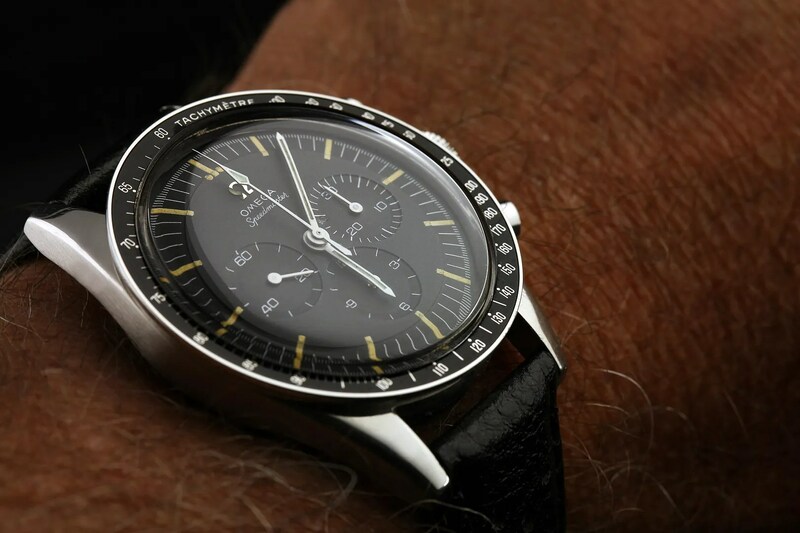 Anyway, that’s enough rambling, so here’s a few photos that hopefully convey what a beautiful watch this is. 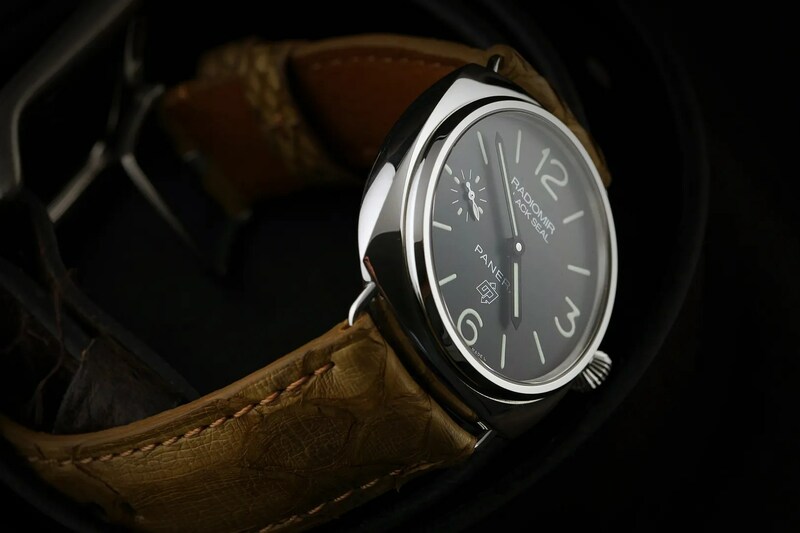 And those of you that haven’t yet tried a Panerai – don’t write them off without giving them a chance. 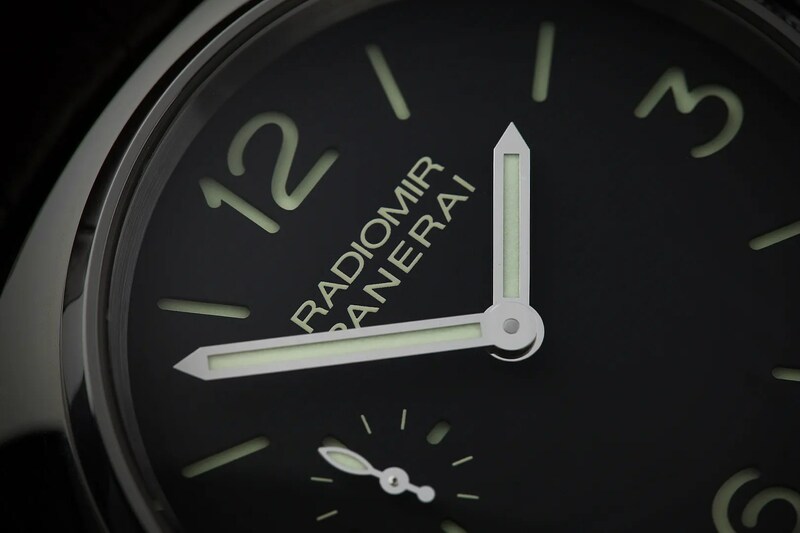 The two ranges (Luminor and Radiomir) and so different that there’s really little comparison, and the quality and finish may just surprise you! Well, it’s that time again… coming up to Christmas, the festive spirit is mostly in the fridge right now and a quick look back over the year is appropriate. 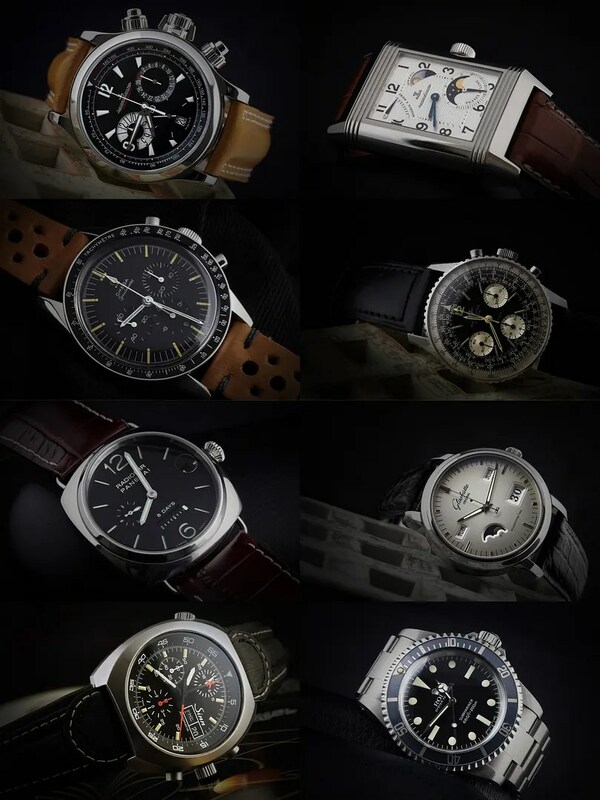 I posted a an SOTC this time last year, at which time I had 13 watches with an emphasis on vintage Rolex (and there were some beauties!). This year I tried to get the numbers down a bit, and I succeeded for a while… I seem to have gone back up to 12 again, though, which is yet further evidence of my non-existent will-power. 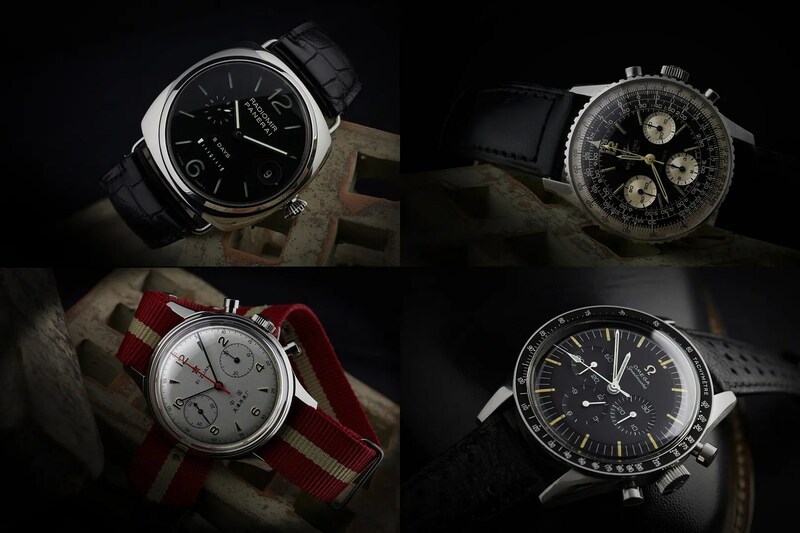 Anyway, as I did last year I still have vintage Rolex and Autavia GMTs; a nice old 5513; a fugly Tuna; a dressy and complicated JLC and GO; and a variety of other things to give me plenty of options. Too many options really, but I may as well just enjoy them all while I can and stop worrying about it. A couple of people asked me to post an up to date SOTC recently, so here it is – no changes of late and I won’t be selling any of these any time soon. I quite like the mix of modern and vintage, and there are quite a few different styles and complications in there. I must say that I’m particularly fond of the 806 (which needs a new strap) and the 5513, although I wear all of them regularly and get a lot of pleasure from each of them. When I only had 6 watches (well 7 really, but one is at service and will be moved on when it’s back). It’s very… liberating. 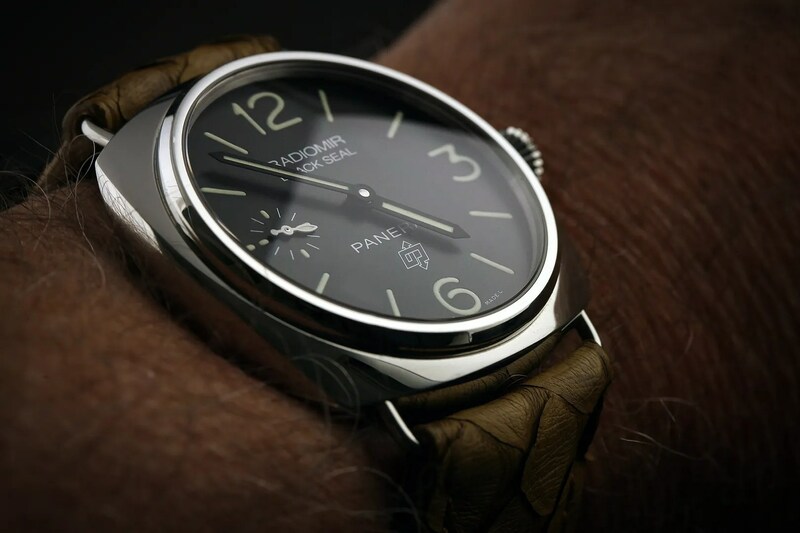 Going back a year or so I had my first taste of Panerai when I traded a Daytona for a Luminor PAM233. 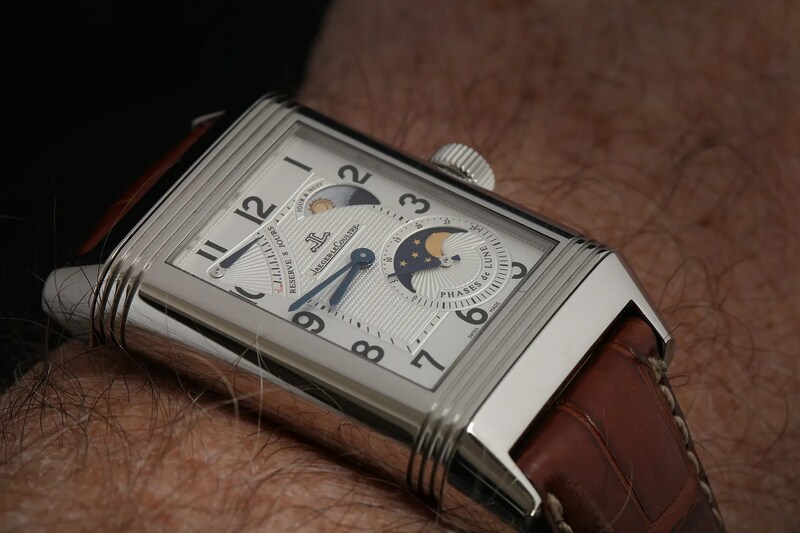 The 233 was actually a stunning watch but it was possibly a little too clunky for my relatively small wrist; in any event, whilst I really did like it I accepted a request to reverse the trade a few weeks later. 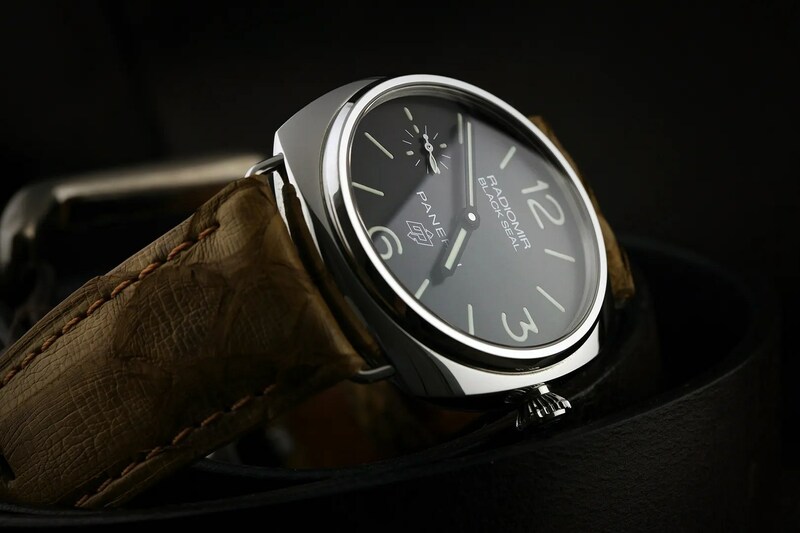 I really missed that watch (and still do) but in part it was because of the movement – a hand wound in-house calibre with three barrels providing an 8-day power reserve. 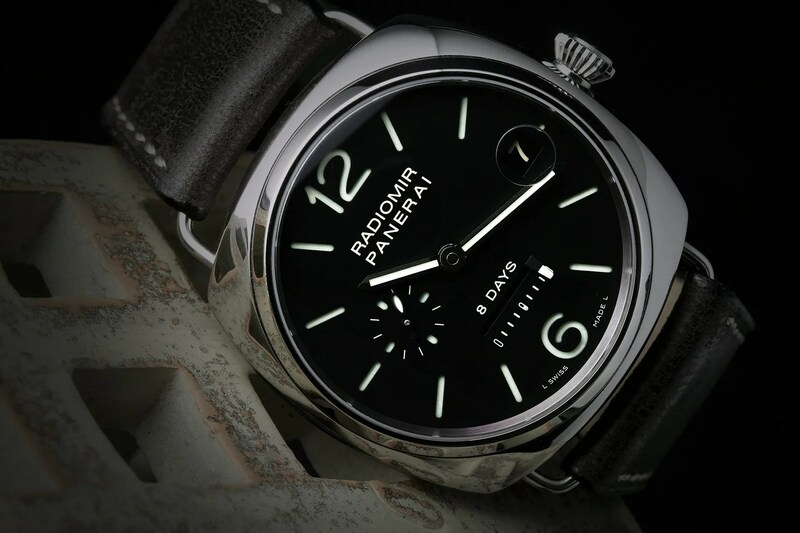 Spectacular, actually, but even when I owned the watch I was looking at the Radiomirs that were of similar quality. The one that struck a chord was the 268 but I soon pretty much forgot about it. Until, that is, I was offered one in a trade a week or so ago… and what a long week it was, because it was only yesterday that I met yet another WIS for the deal to be concluded. 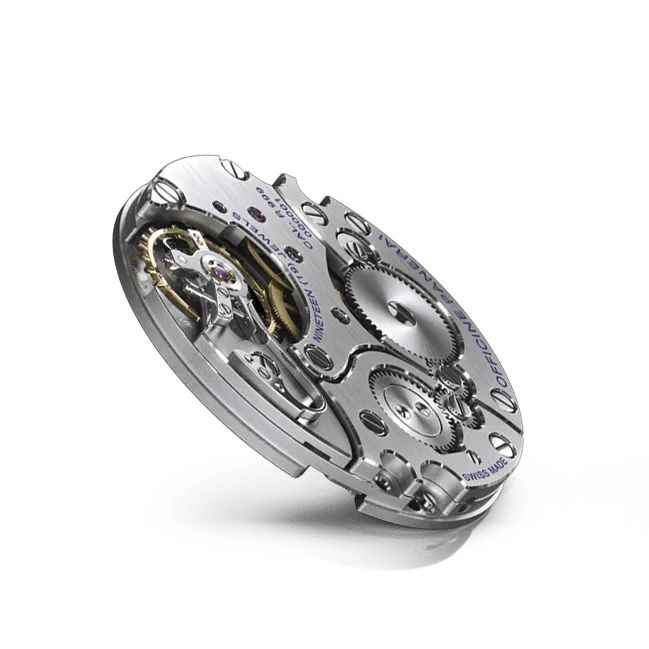 The P.2002 calibre consists of 247 components; it has 21 jewels and a thickness of 6.6 millimetres. Hand-wound and with a power reserve of 8 days with linear indicator on the dial, it has the characteristics peculiar to all the calibres of the P.2000 series: great structural strength; three spring barrels; rapid adjustment of local time; free-sprung balance; balance wheel oscillating at 28,800 alternations per hour (a frequency which is unusual in a movement with a large power reserve). 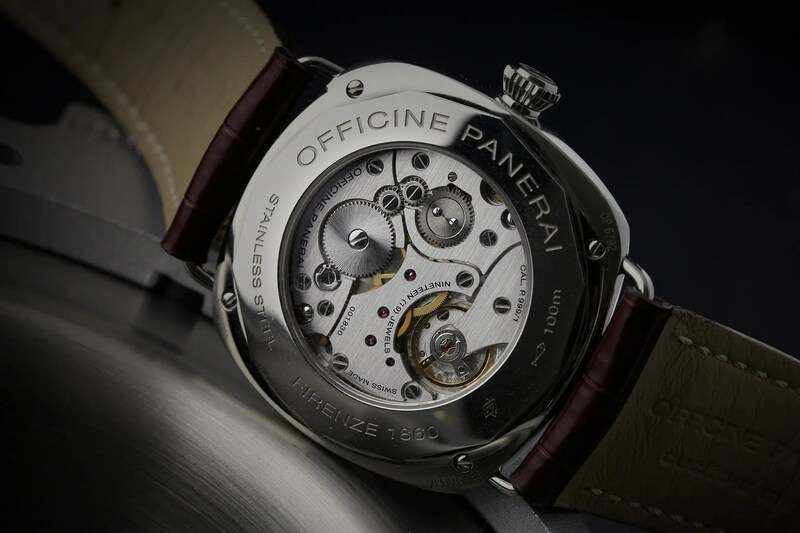 The three spring barrels in series, the design of which is an Officine Panerai patent, ensures the delivery of an even, optimal force which remains stable for 8 days, thus delivering a force which is constant for all the days of the power reserve. So, beautiful on the inside, and to my mind beautiful on the outside too. The Radiomirs are all pretty large (this one is 45mm, like my 380) but they have a knack of wearing much more easily than one might think. The wire lugs don’t really add to the size of the case, and the shape itself means that the head sits pretty low on the wrist. 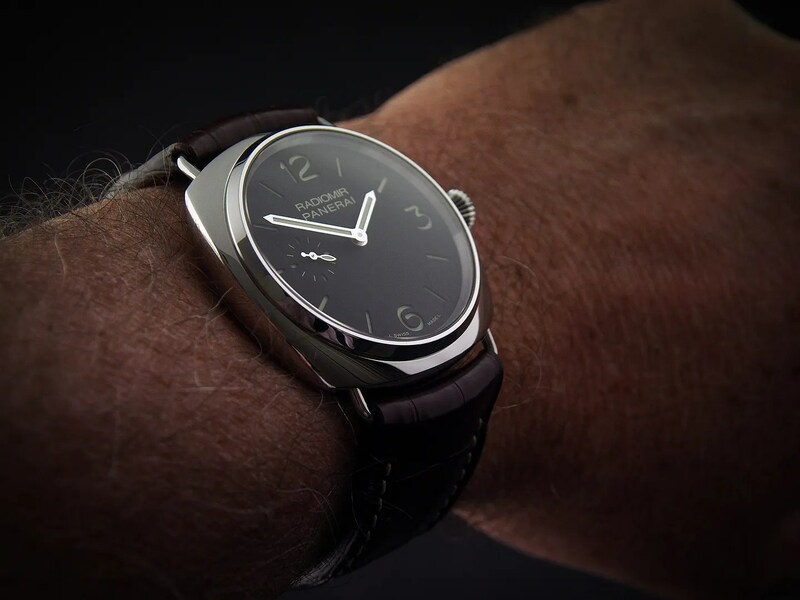 The main visual differences with this one (when compared to the 380) are all on the dial; it’s a sandwich dial on the 268, and of course there’s a power reserve and a date window. 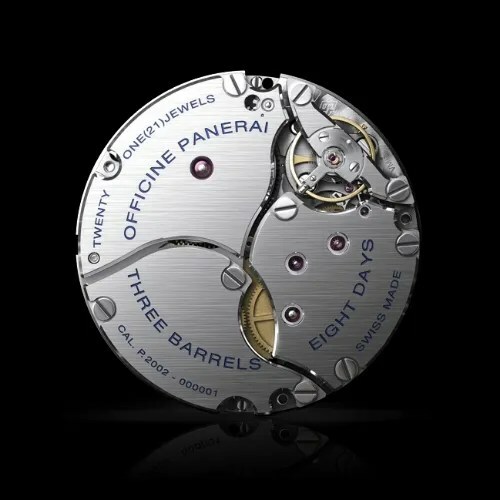 In fact, with the additional logo on the 380 the two watches look very different, for all their similarities. You may also be wondering how the 268 compares to the 233 I mentioned earlier (or, of course, you may not). 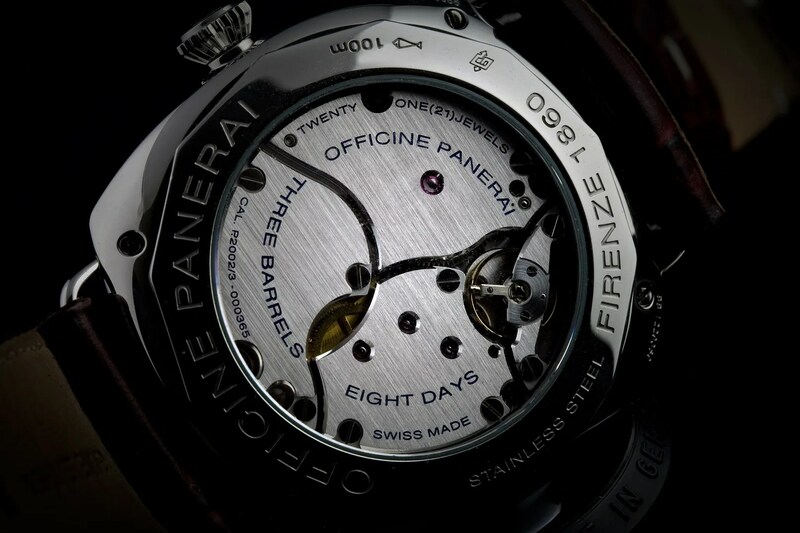 Well, the particular iteration of the movement in the 268 (the P.2002/3) has no GMT function and no seconds reset; having said that, the fact that the hour hand moves in one-hour increments kind of negates the loss of a second time zone, at least in as much as you can change zones without having to mess with the minute hand. The biggest difference, though, is in respect of the case because the Radiomir and Luminor models look nothing like each other from that perspective. For me, the Radiomir is far better in terms of size and fit, but obviously both have their merits and both are in their own way rather lovely. 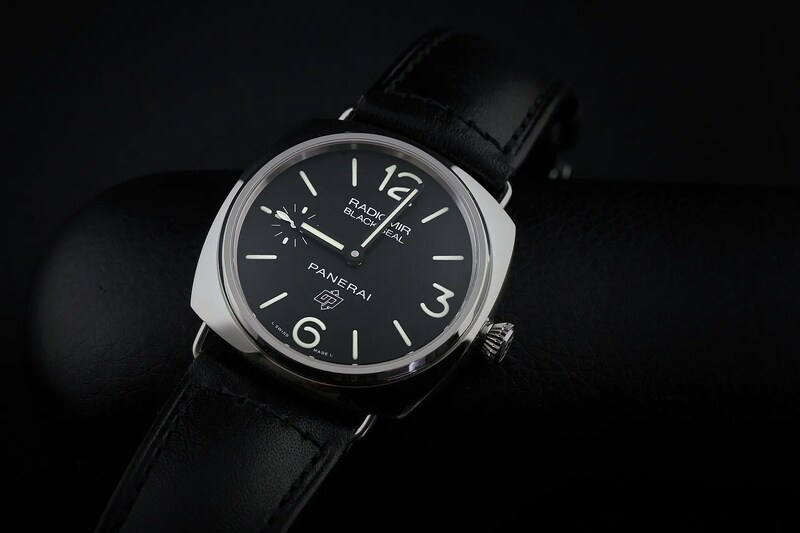 I’m obviously being sucked in to the whole PAM strap-changing nonsense, and naturally decided to see what Panatime had to offer. 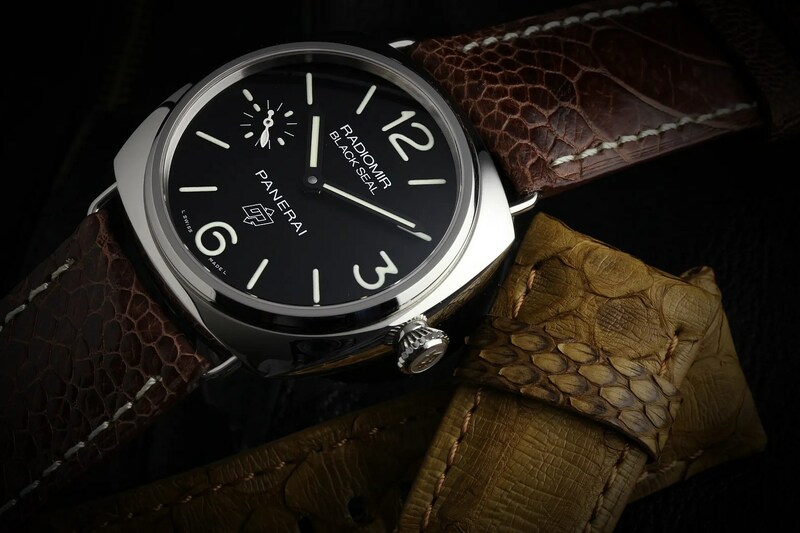 This one is rock python; it’s quite bold in terms of colour and texture – the scale edges are really very pronounced, which was unexpected – but it’s changed the look of the watch completely and I’m loving it. Not for the first time, a GTG attended by the local WIS community has resulted in an impromptu watch trade. 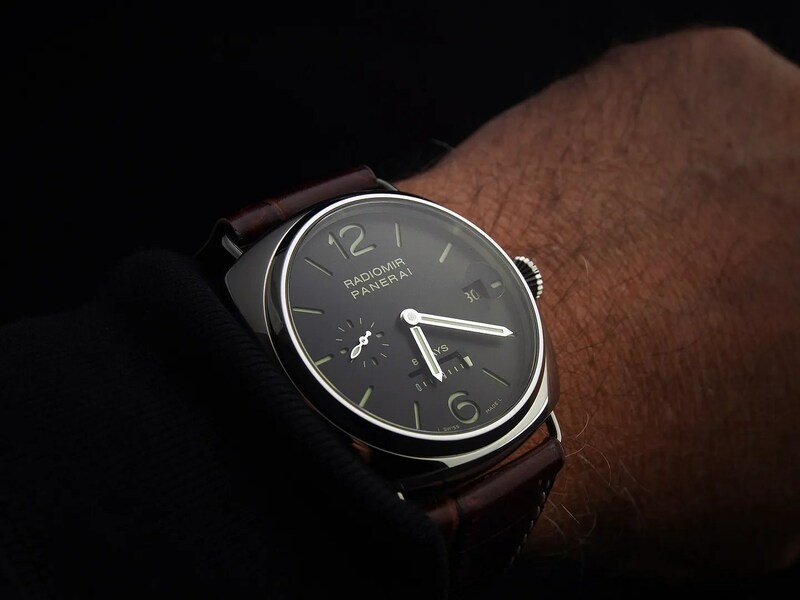 Out went one of my Rolex sports watches, to be replaced by my second Panerai (the first being the magnificent 233, which I still miss). 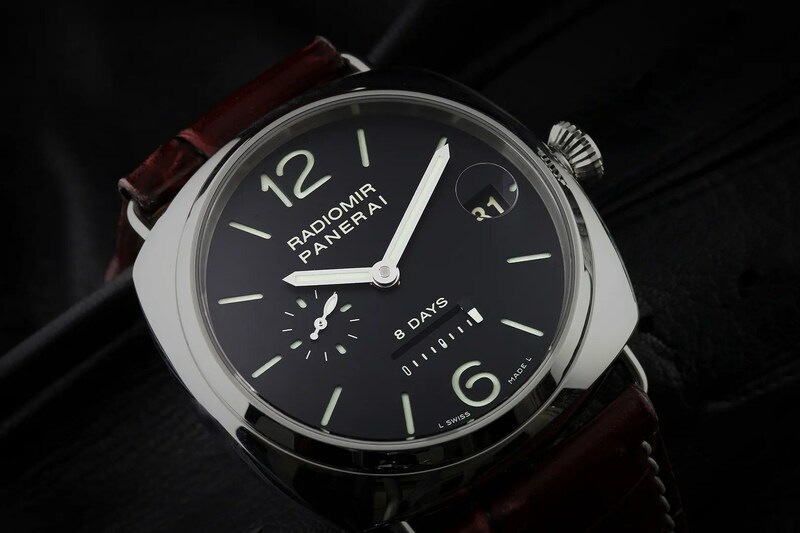 Until last Sunday I’d never tried on a Radiomir, and whilst they’re sizeable chunks of steel the shape of the case means that they sit very flat on the wrist. 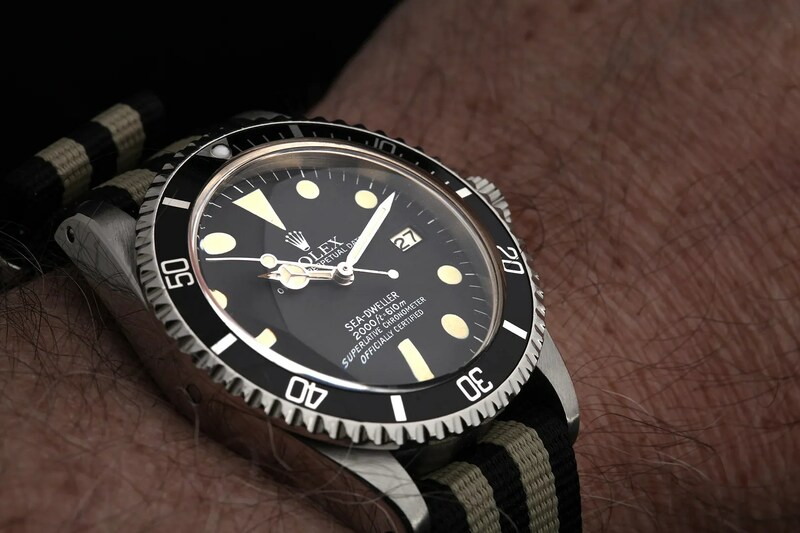 The “wire” lugs also lend themselves to the slightly smaller wrist as they don’t really add to the bulk of the watch, and to my mind they’re therefore slightly more wearable than the Luminor range. Aside from that, the Radiomir case mirrors the design of the original models, and therefore has some historical significance. 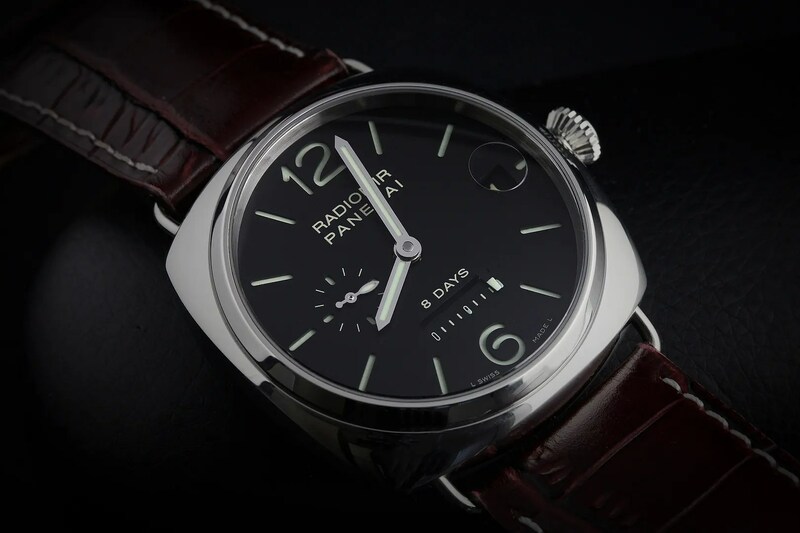 This one is the “Historic” Radiomir Black Seal Logo (PAM 380), which is a reproduction of the design of the first watch the Officine Panerai produced for the Italian Navy in 1938. The case is polished 316L stainless steel and whilst it’s 45mm without the (signed) crown it actually sits nicely on my fairly small 6.75” wrist with no overhang whatsoever. 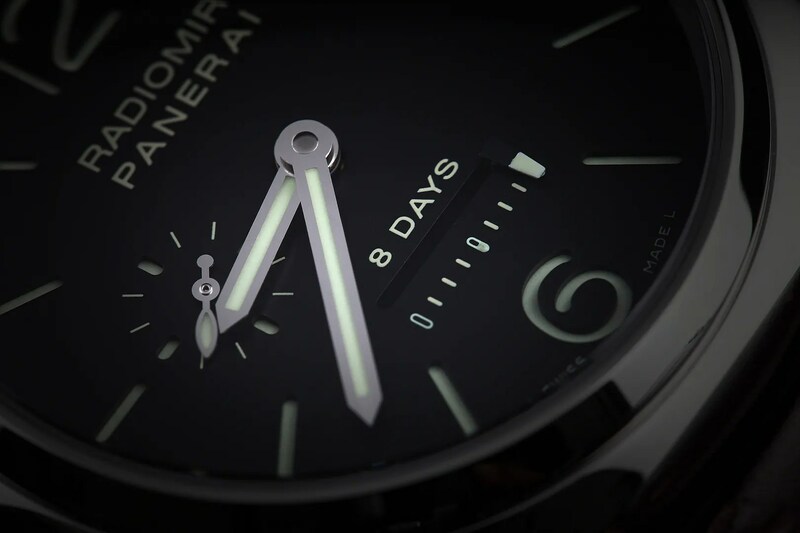 It has a matt black (painted as opposed to sandwich) dial, with a mixture of baton markers and Arabic numerals (3,6 and 12) and subsidiary seconds at 9. The crystal is a slightly domed 1.9mm sapphire, with AR coating. Water resistance is a very decent 100m and the removable lugs take a 26mm strap, adding to the overall comfort and general sense of wearability. 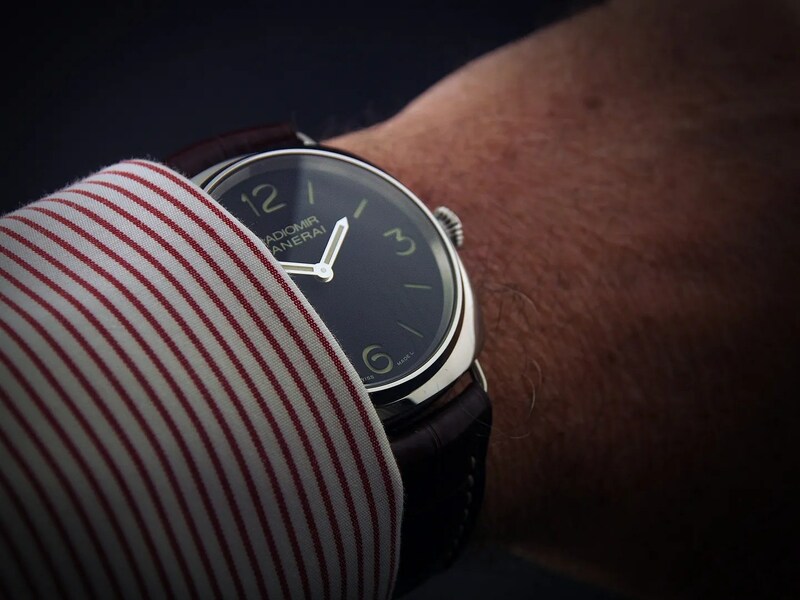 · Power reserve 56 hours. Now, here’s the thing. 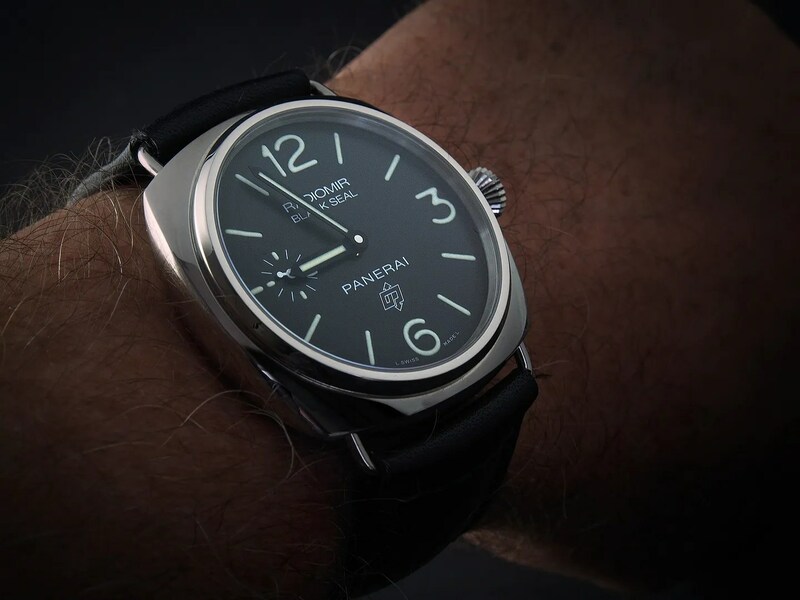 I am on the lookout for the slightly more esoteric PAM 337, which is also a little smaller at 42mm. However, whilst the 380 is a Base model and was intended to keep me going during what I anticipated would be a long wait, it might just do the trick for me. 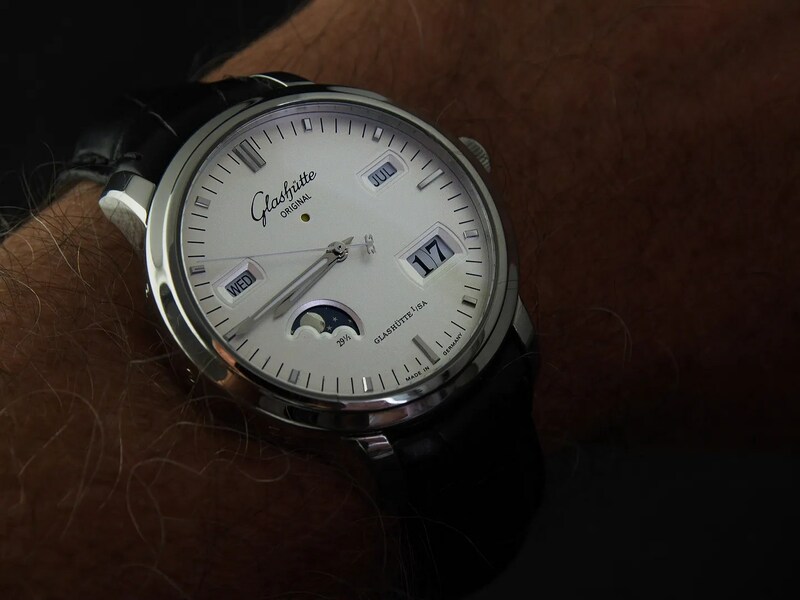 It’s a fair bit less expensive, wears well despite its larger size and actually seems pretty good as a watch for most occasions. It’s also bloody comfortable, so who knows – maybe it’s a case of itch scratched.